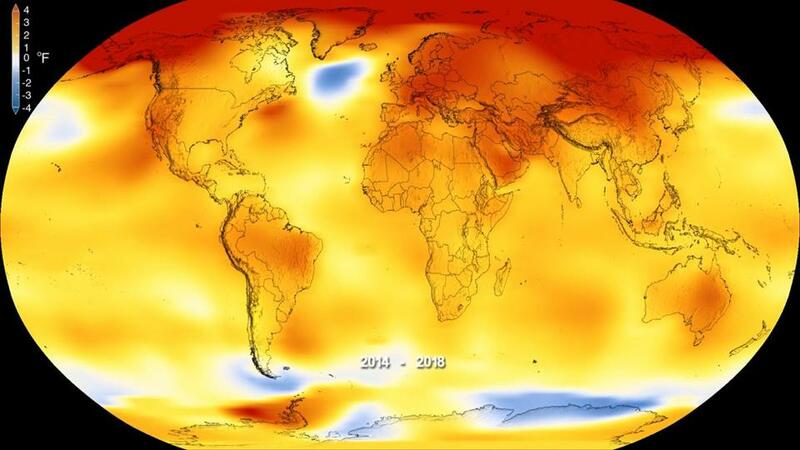 Global surface temperature anomalies for 2014-2018. Higher-than-normal temperatures are shown in red and lower-than-normal temperatures are shown in blue. 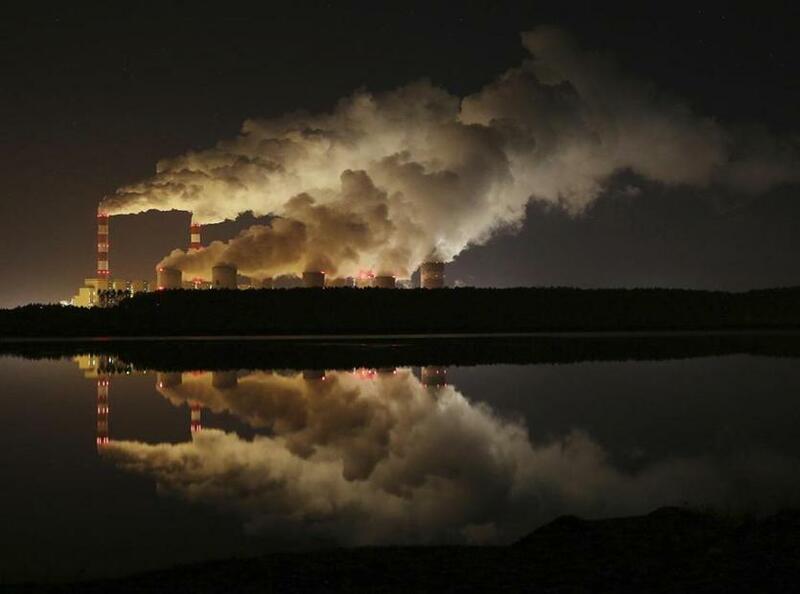 Plumes of smoke rise from a coal-fired plant in Poland. The burning of fossil fuels releases carbon dioxide that is heating the planet. Last year was also the third wettest on record in the U.S. Nine eastern states had their wettest years on record, ‘‘an exclamation point on a trend of big rain’’ in the age of climate change, Arndt said. 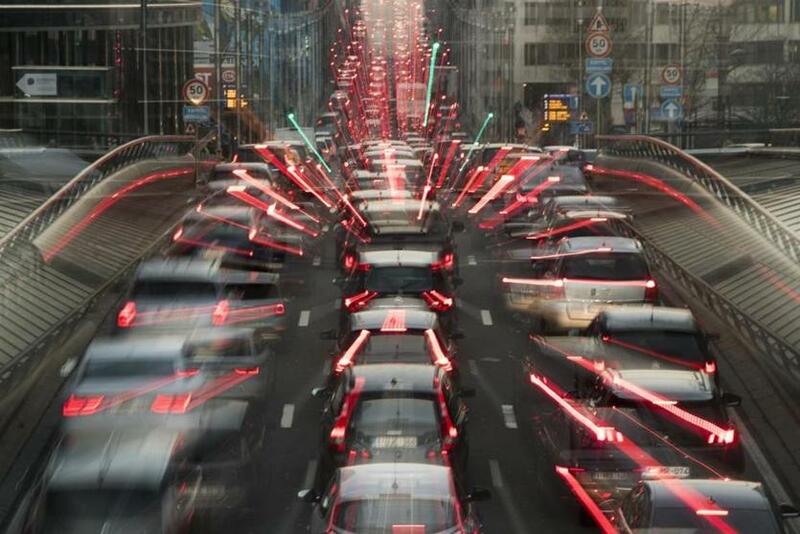 Commuters in traffic in Brussels. Emissions from cars are also a major contributor of carbon dioxide to the atmosphere.